VMA Electric has been providing a full array of electrical services to homeowners in the Framingham, Massachusetts, area since 2008, including backup generator installation and maintenance. We specialize in custom home installation projects, and we can help you be prepared the next time a winter storm results in an extended power outage. Once you have a generator installed by us, your family will be able to enjoy life as usual during an outage, instead of having to find a hotel room or spend your days and nights huddled around a fireplace. At VMA Electric, we sell and install generators manufactured by Generac – one of the most trusted names in the industry. 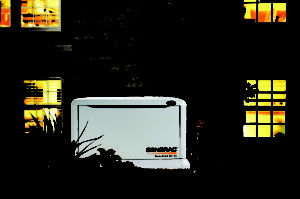 Generac products are well known for their reliability and durability, so you will be able to rest easy following the installation of your generator, knowing that you will be covered if the power fails. We can also provide as-needed maintenance to ensure your generator is always ready to get the job done. Whole-house models which are installed permanently outside your home and are designed to be able to power all of your appliances and electronic systems. These units are gas powered and turn on within seconds after an outage. Smaller portable generators, which can be used to power crucial appliances, such as your refrigerator. These models are also excellent for camping, tailgating, and more. If you would like to learn more about our generator installation services, or any of the other electrical services we offer to Framingham-area homeowners, contact VMA Electric today.